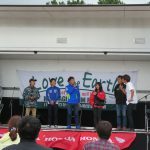 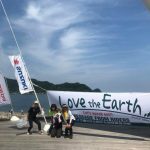 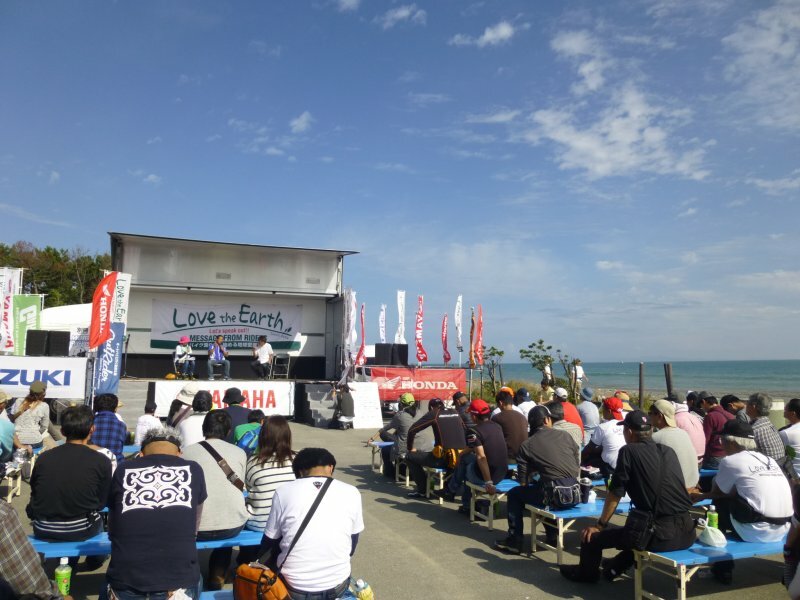 In conjunction with the 28th Love the Earth Meeting held on October 29th, WIMA Japan had its autumn meeting in Shizuoka prefecture. 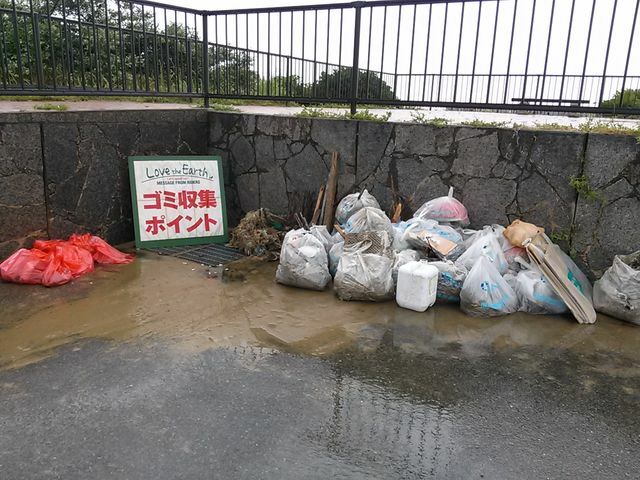 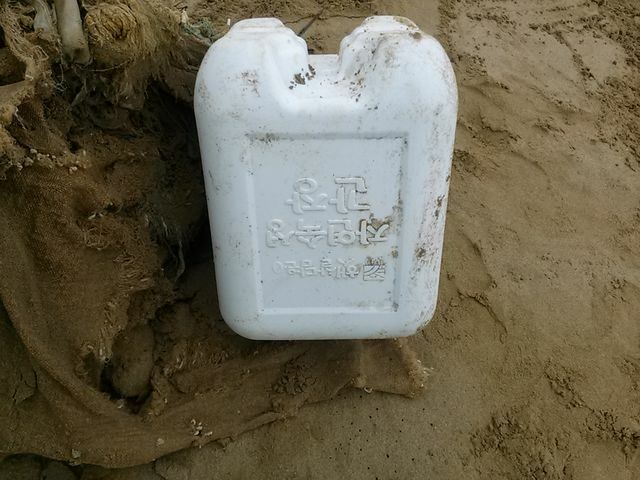 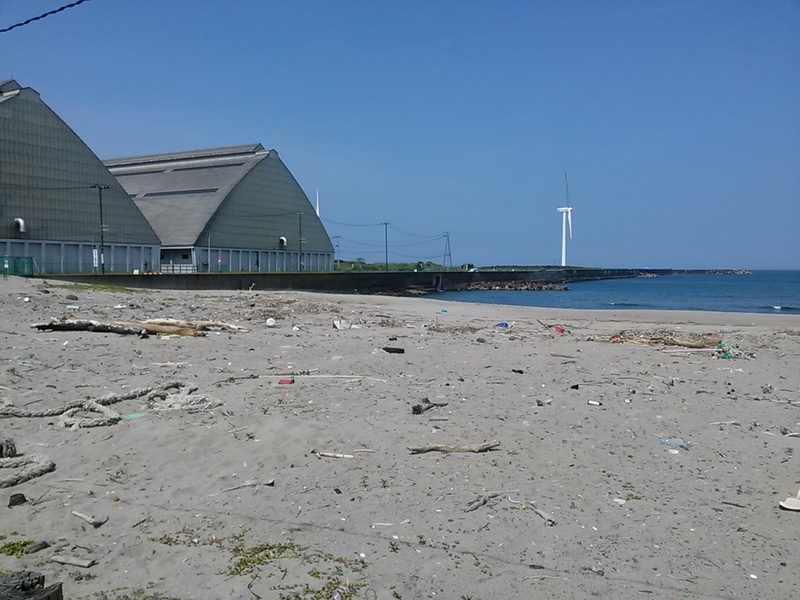 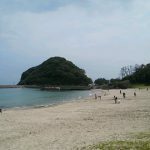 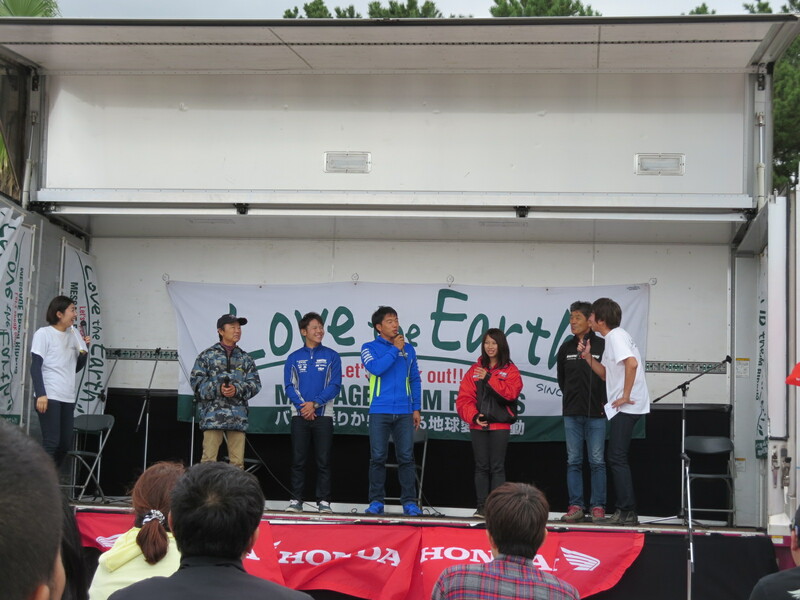 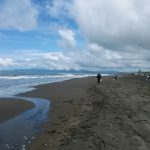 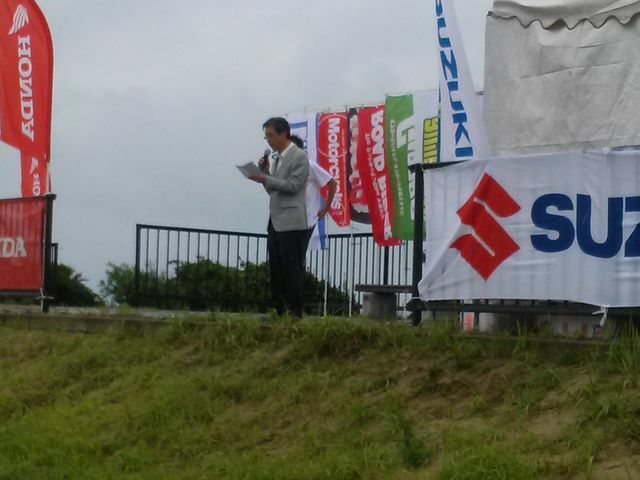 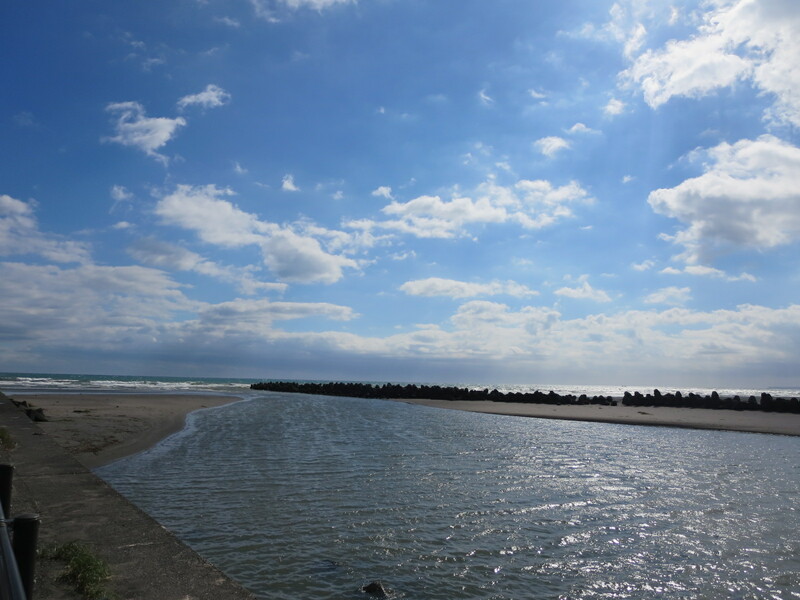 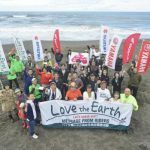 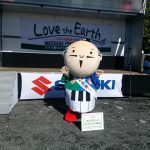 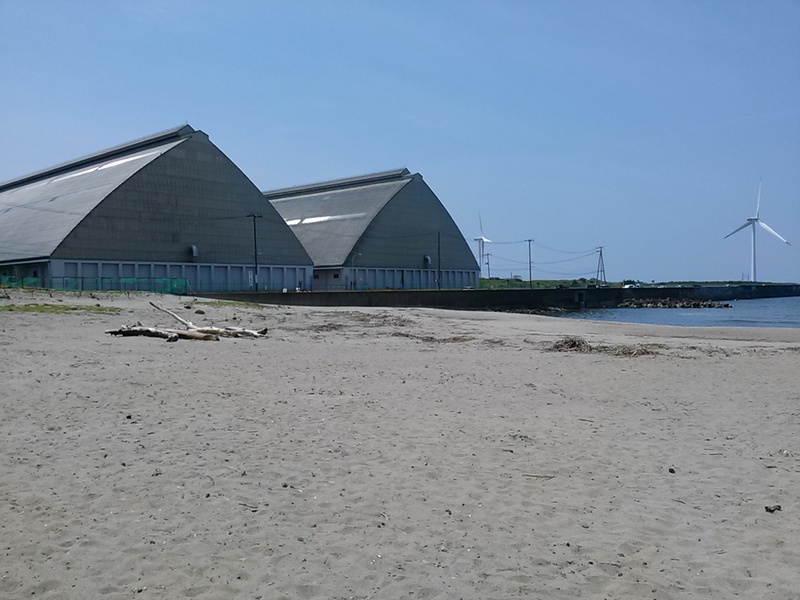 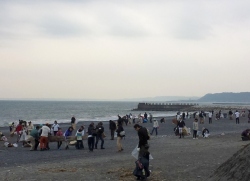 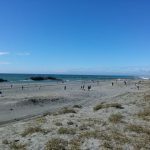 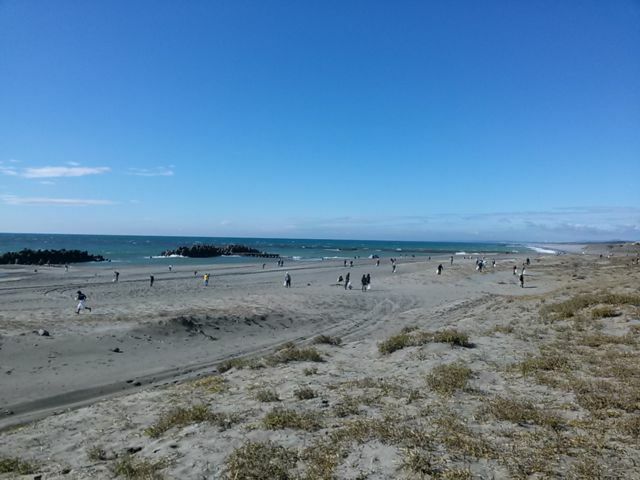 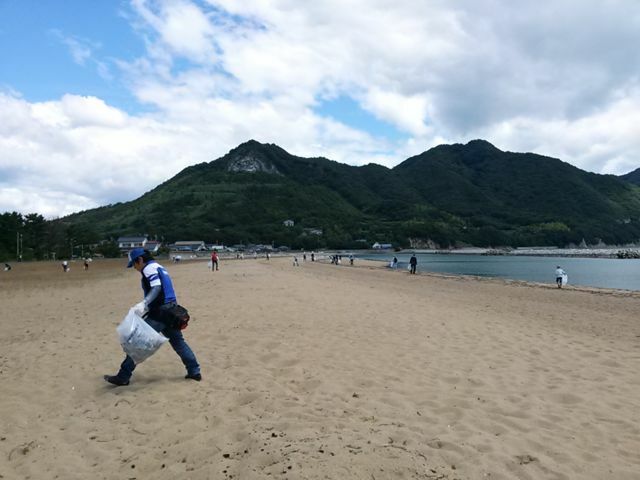 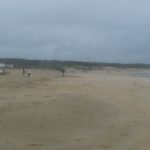 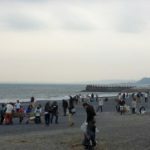 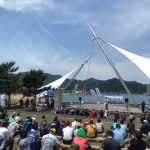 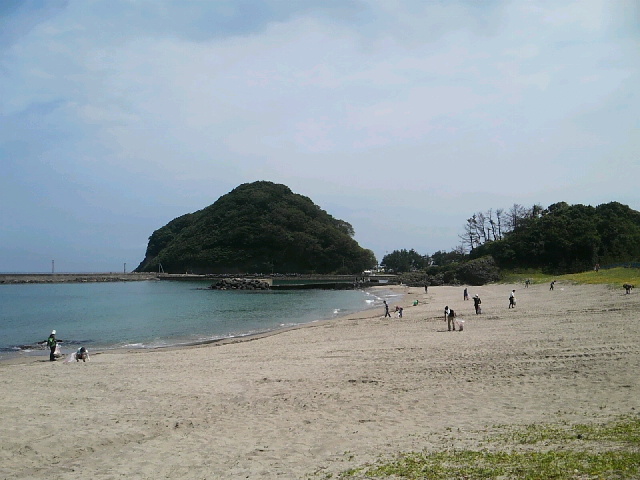 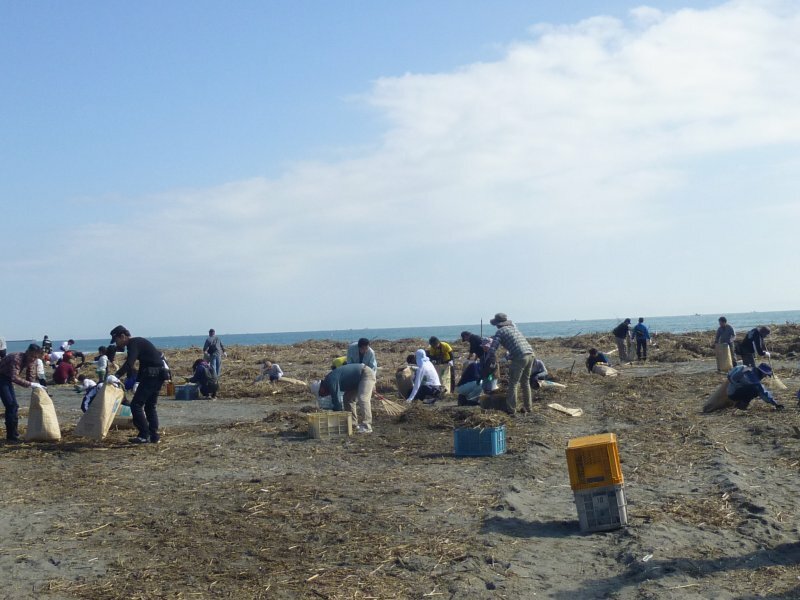 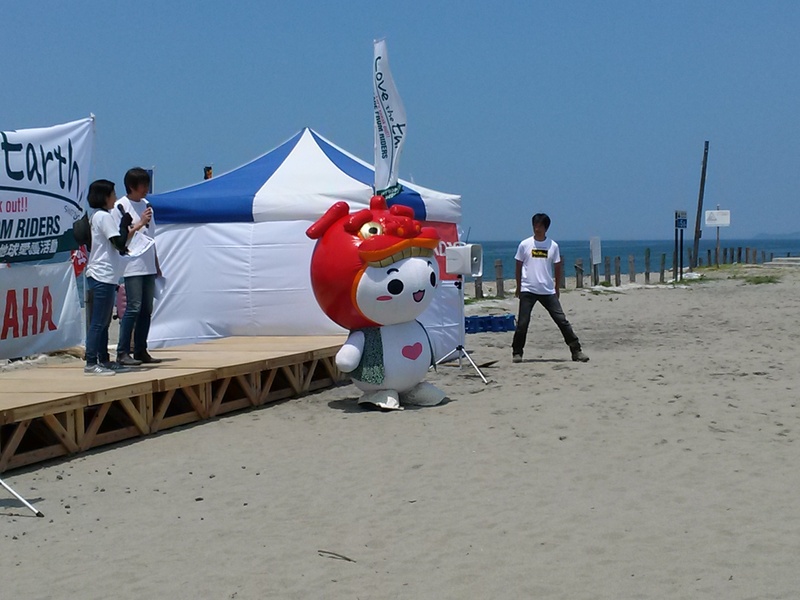 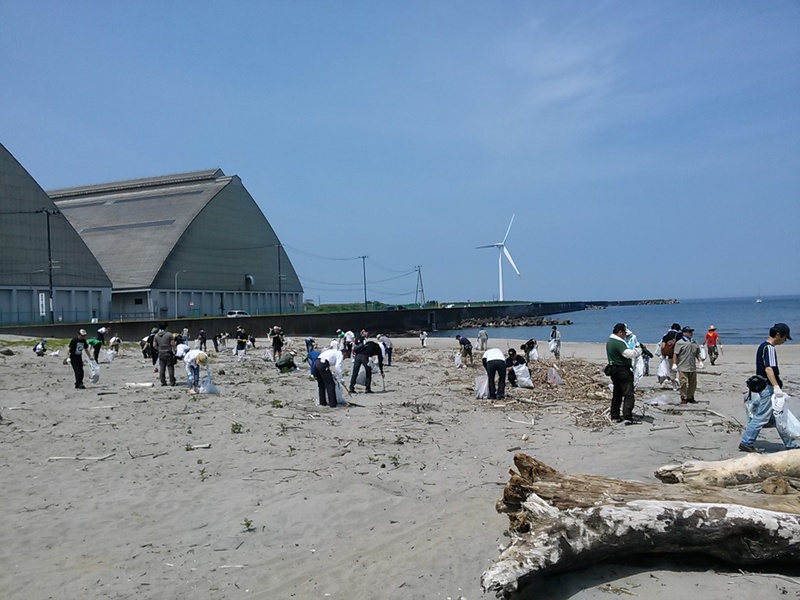 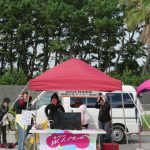 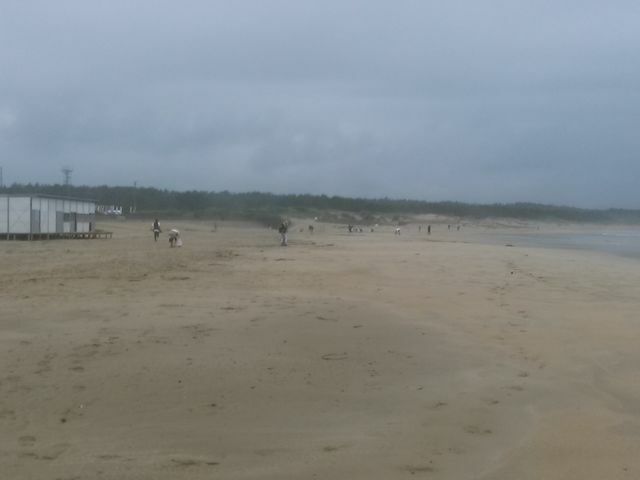 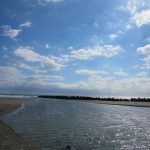 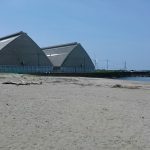 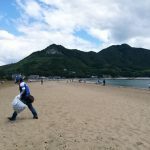 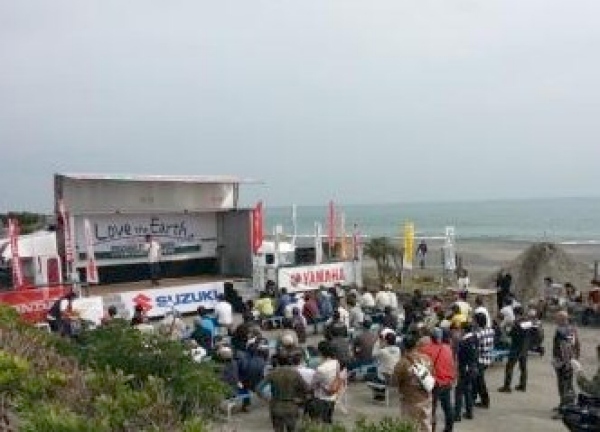 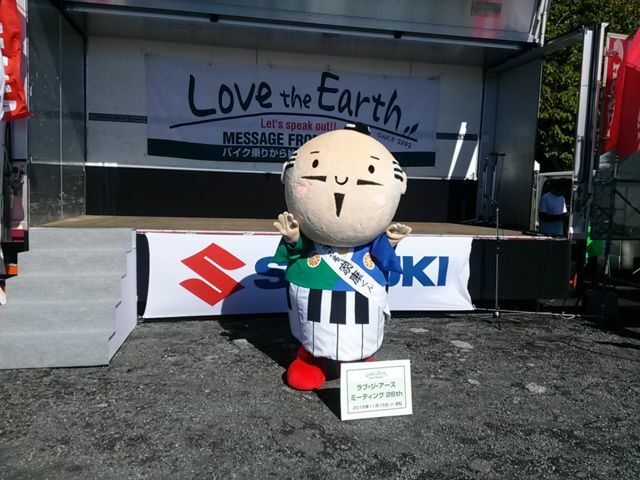 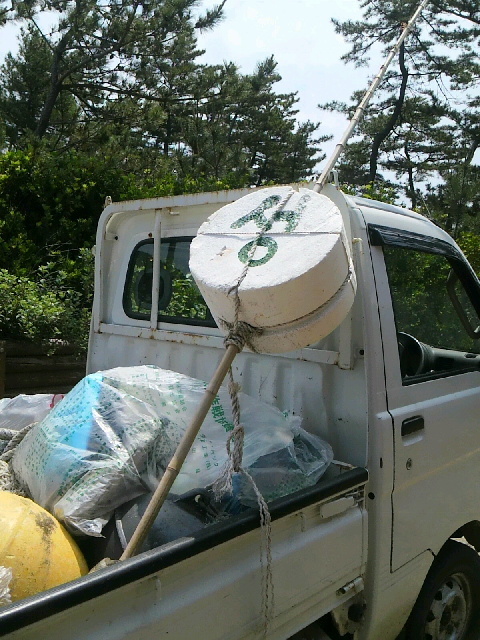 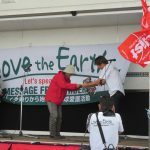 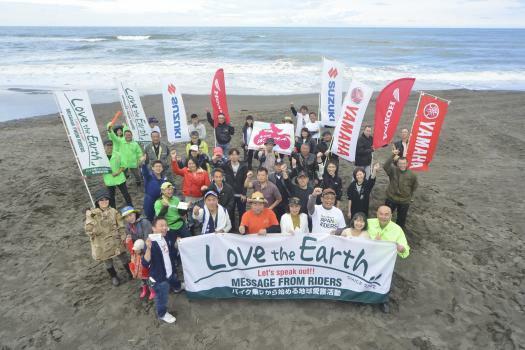 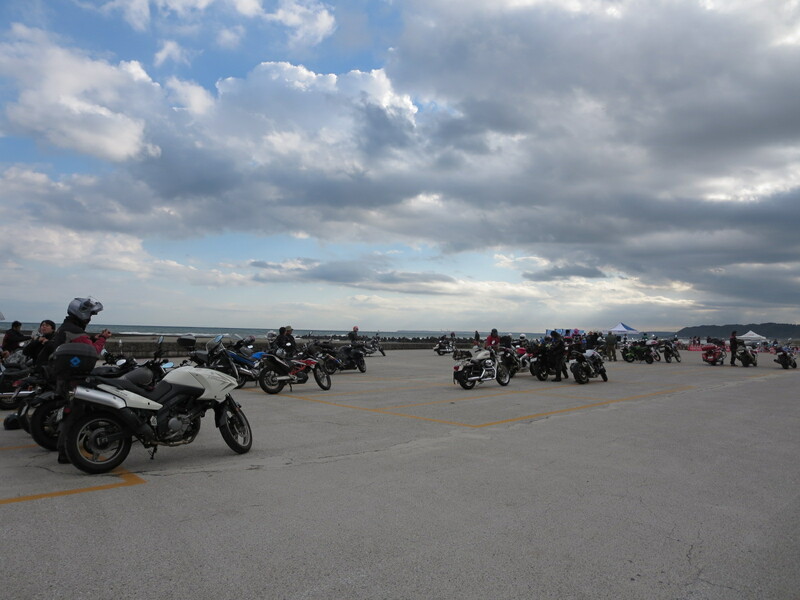 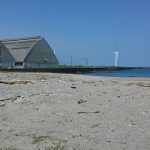 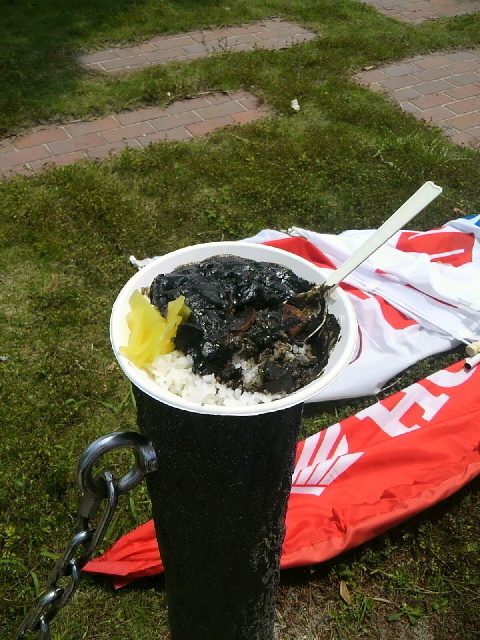 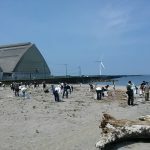 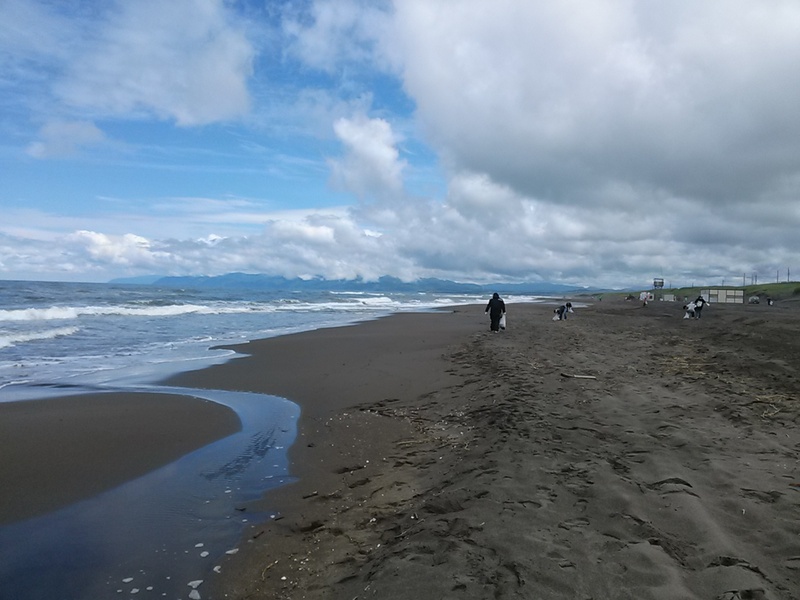 The venue of the Love the Earth Meeting was the Shizunami beach, where the 23rd one had been held two years ago. 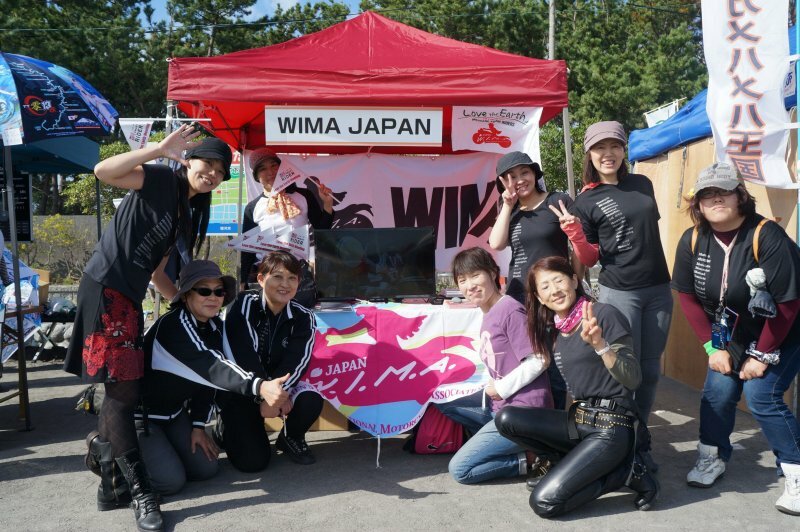 Regardless of fewer number of participants than usual, probably because of bad weather in the morning, 18 members from WIMA joined the event. 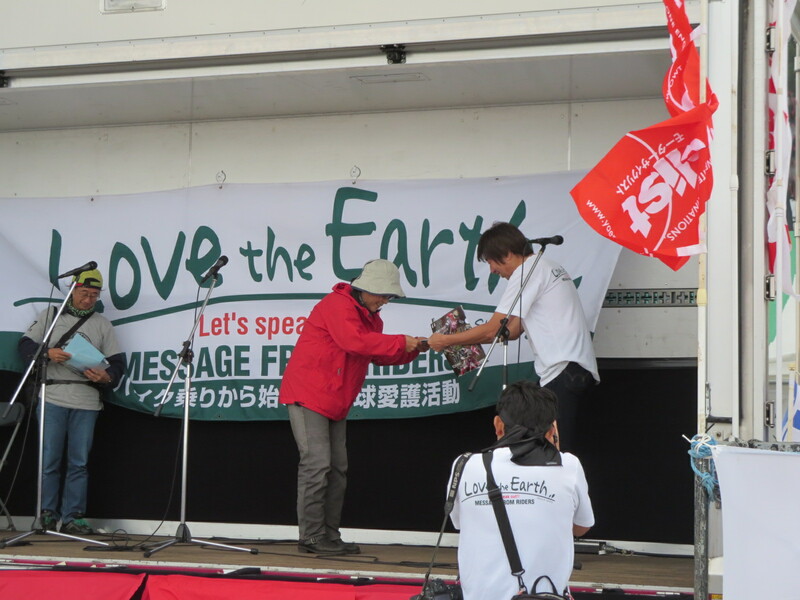 From WWF Japan, a mini-towel with illustration of endangered species was presented to each participant. 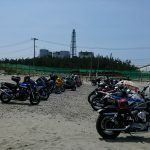 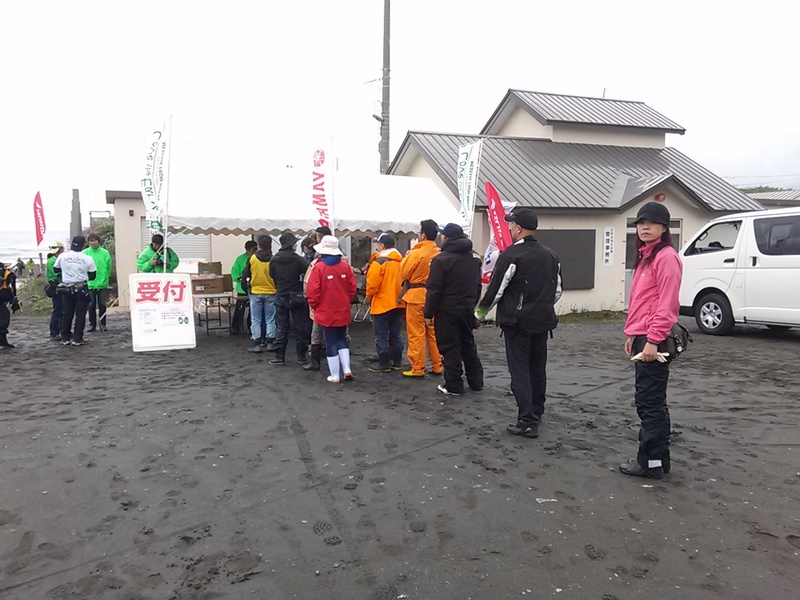 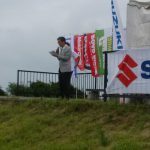 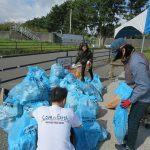 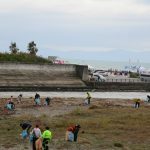 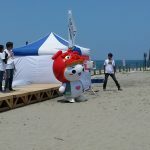 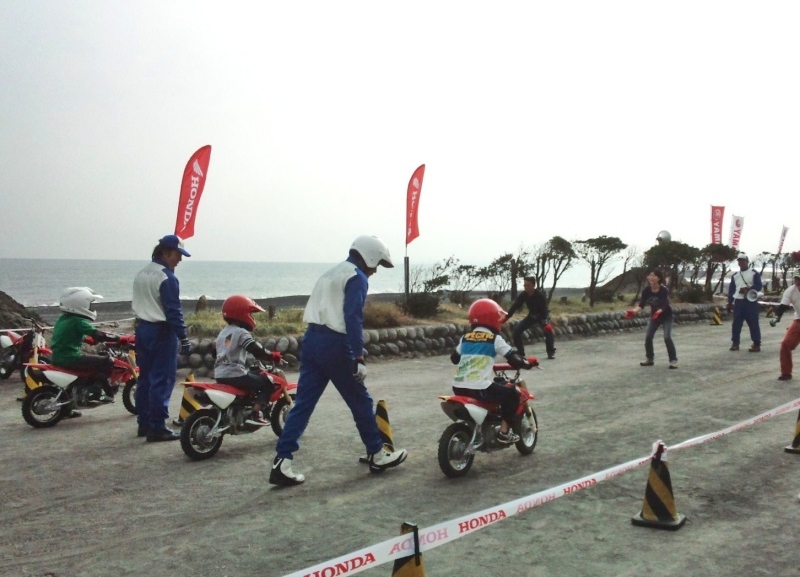 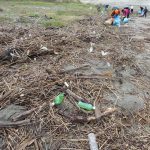 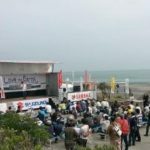 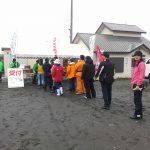 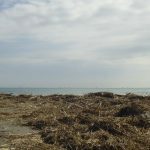 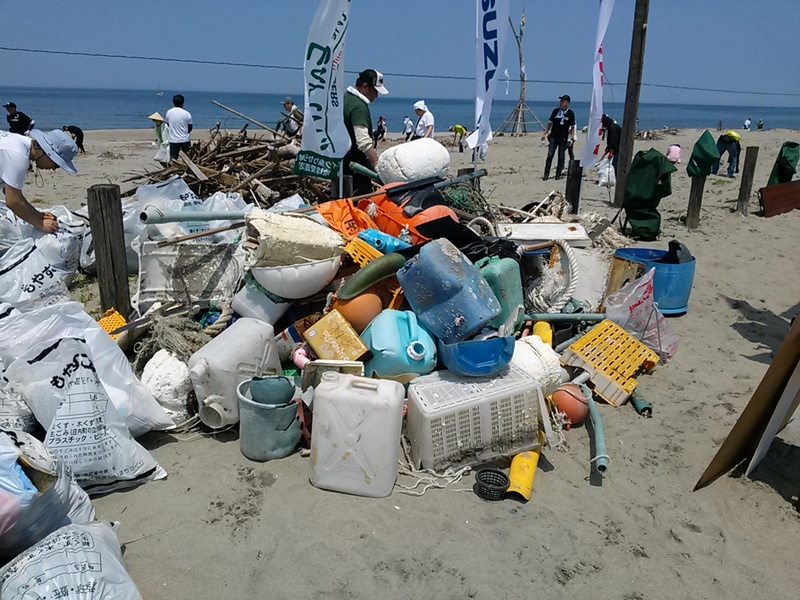 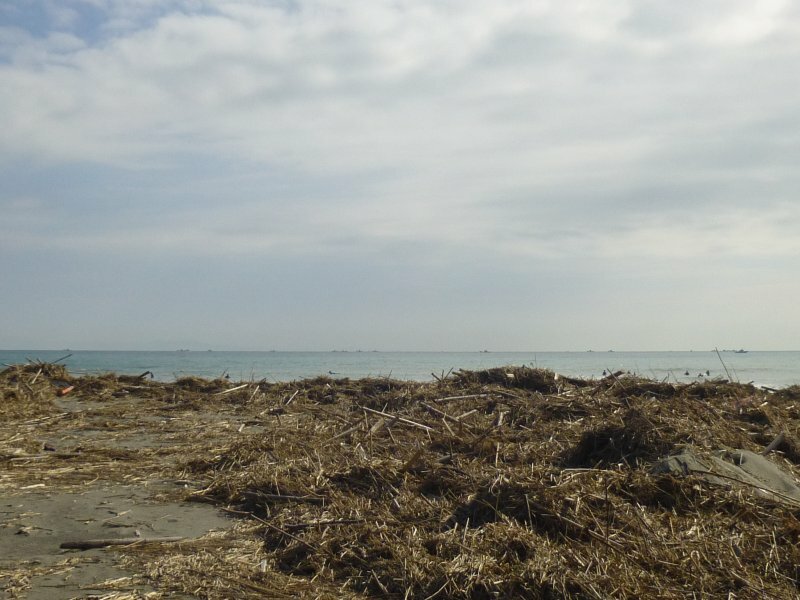 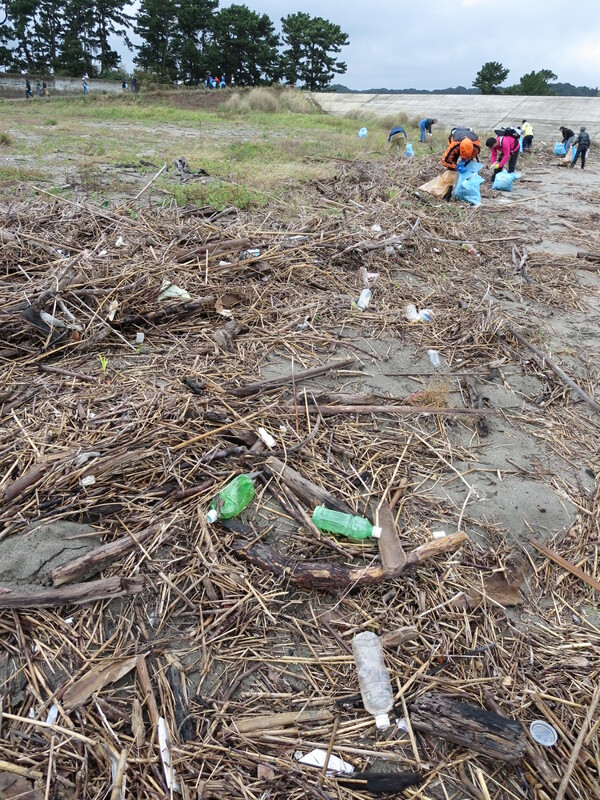 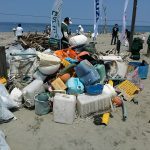 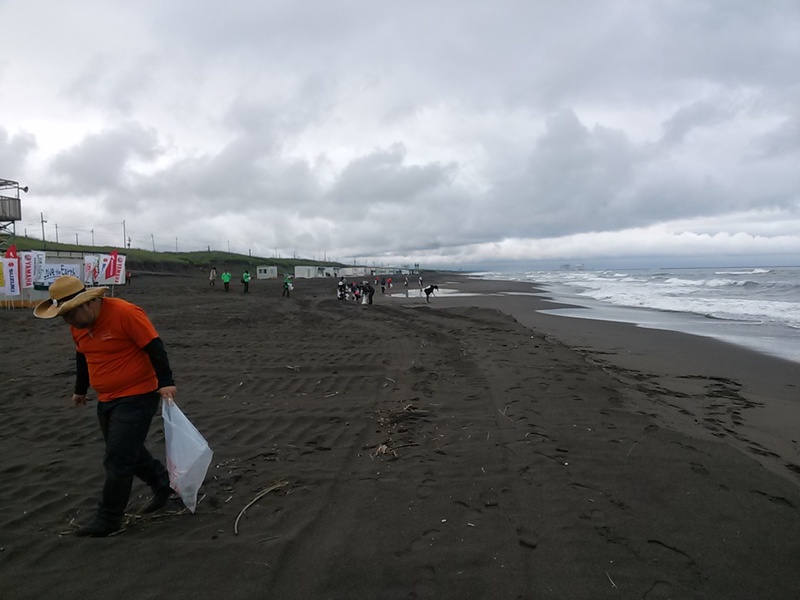 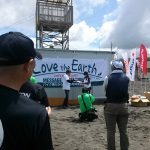 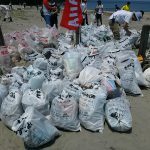 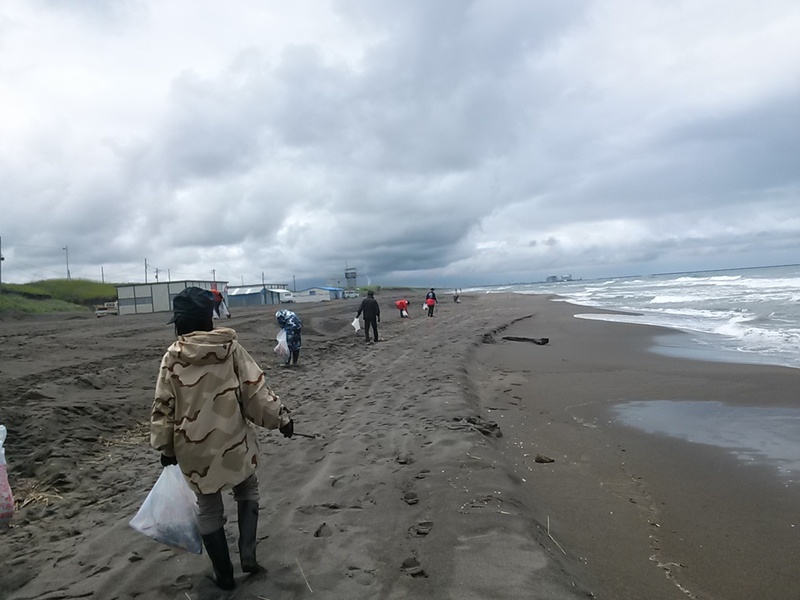 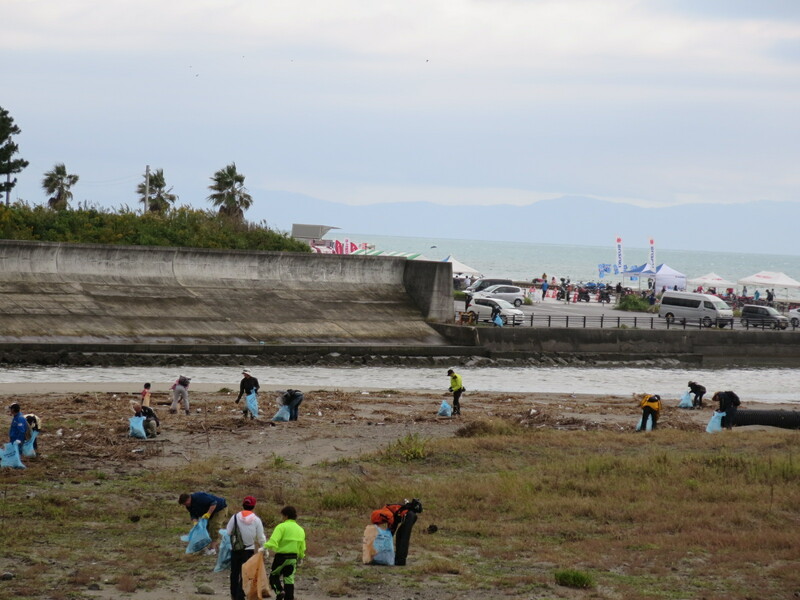 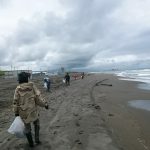 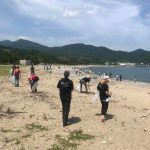 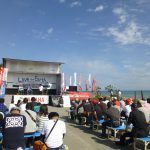 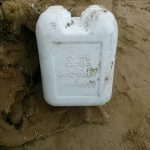 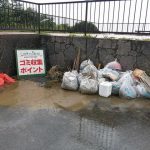 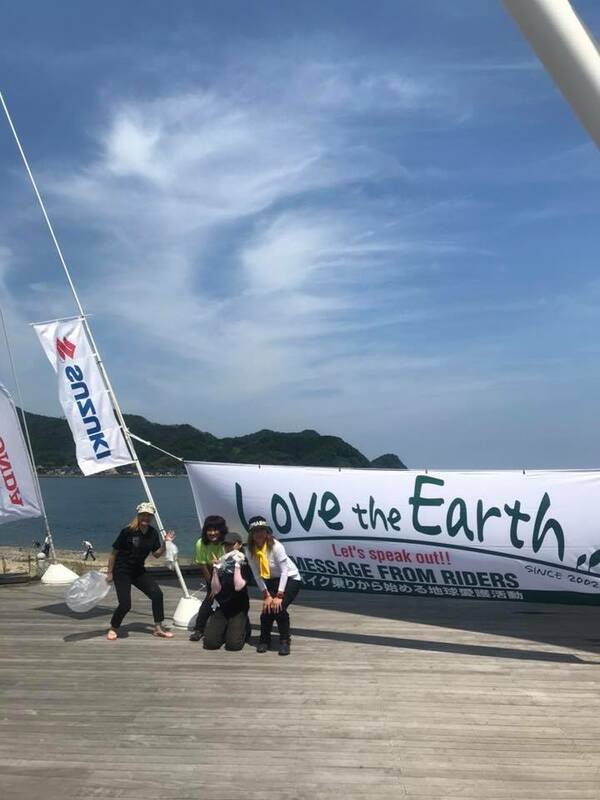 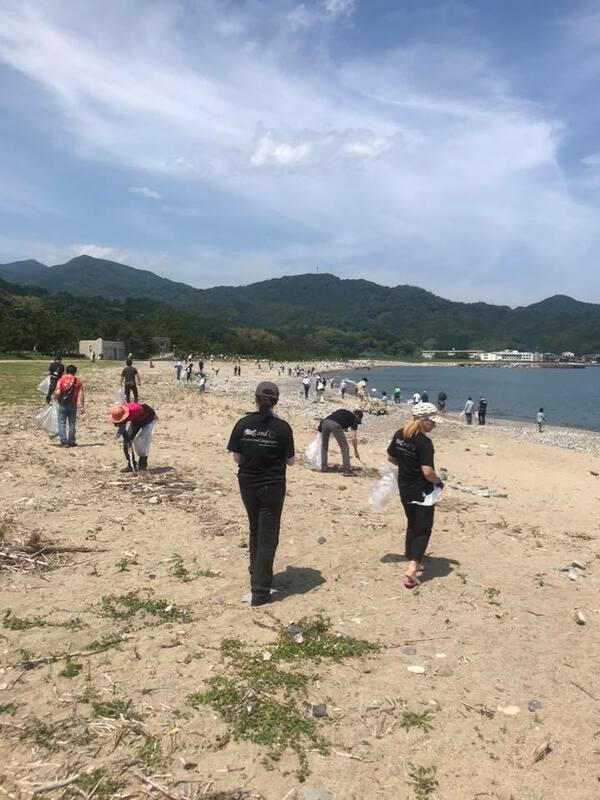 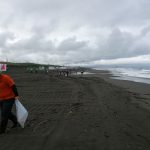 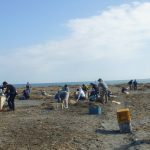 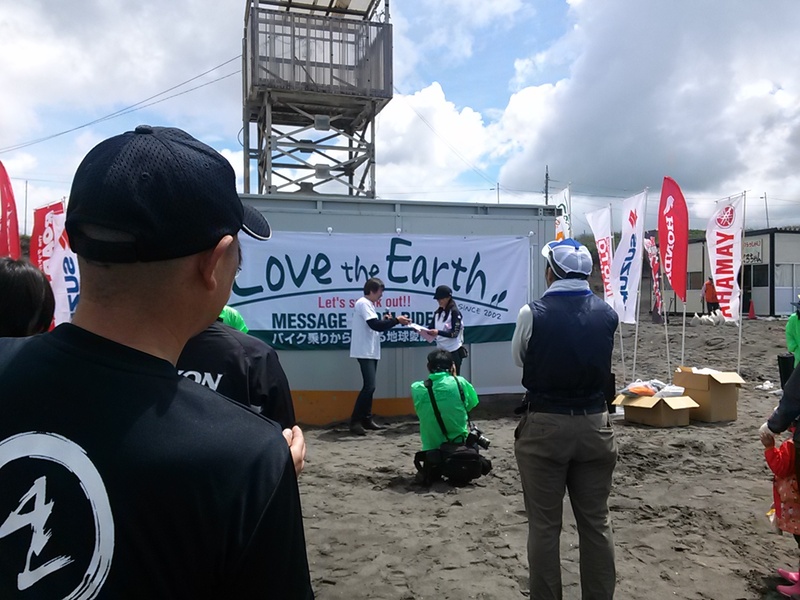 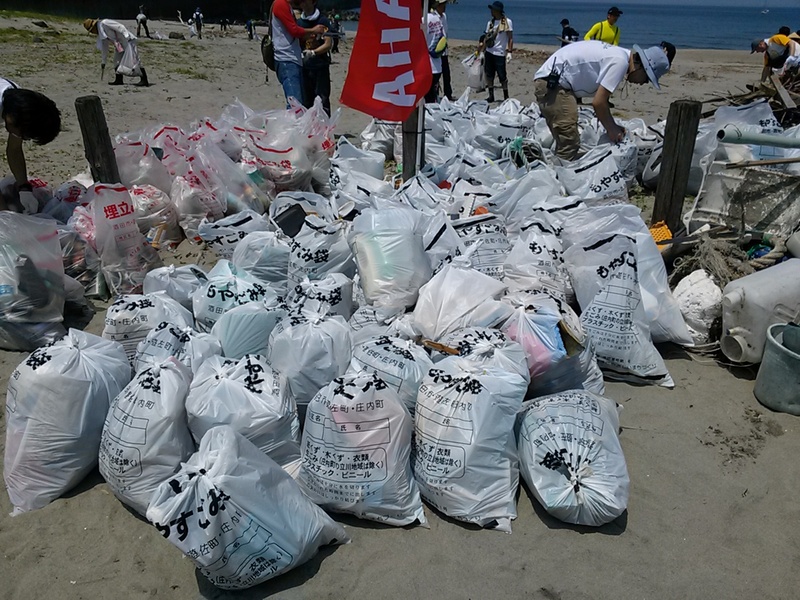 Five guest riders, including Ms. Yoko Takahashi, who is the ladies class champion of 2016 All Japan Motocross Championship, and Mr. Yasuo Tofukuji, who was the V9 champion of All Japan Motocross Championship and now is the manager of motocross team that Ms. Takahashi belongs, also joined the beach clean-up activity with us. 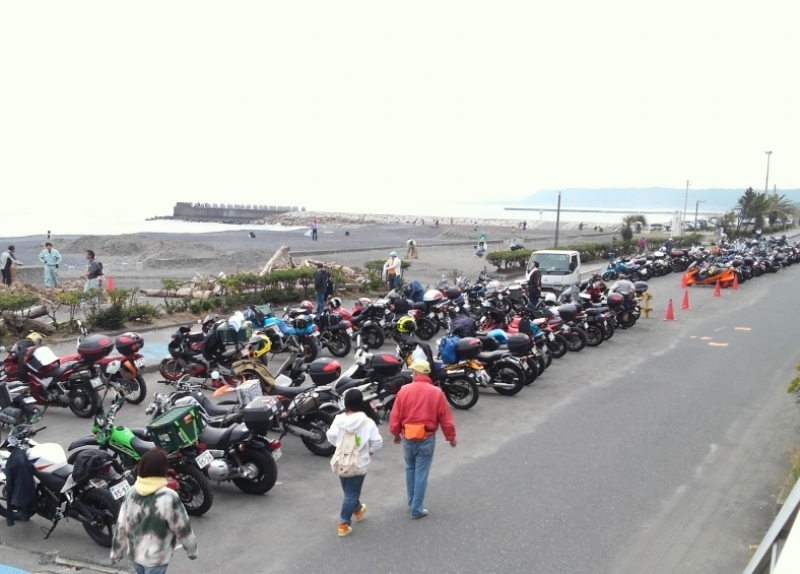 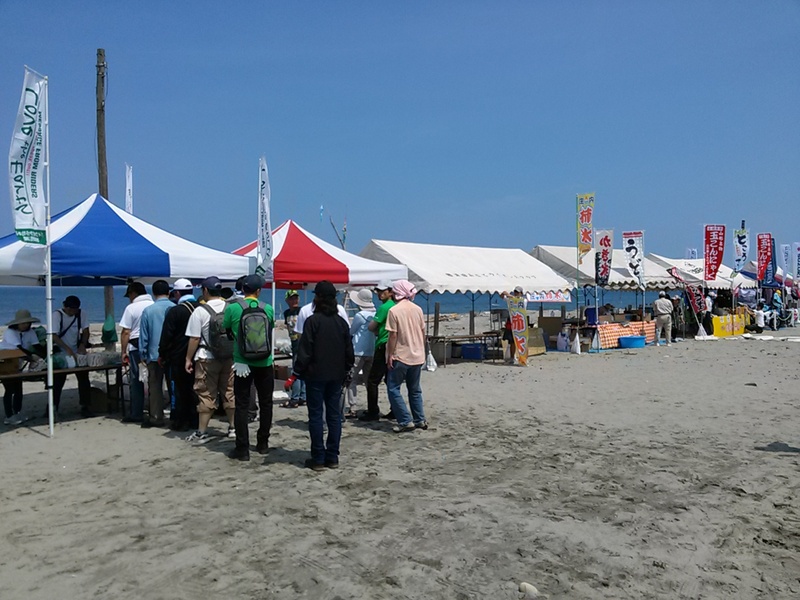 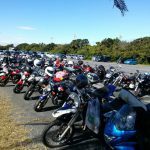 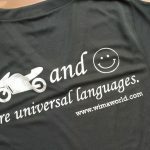 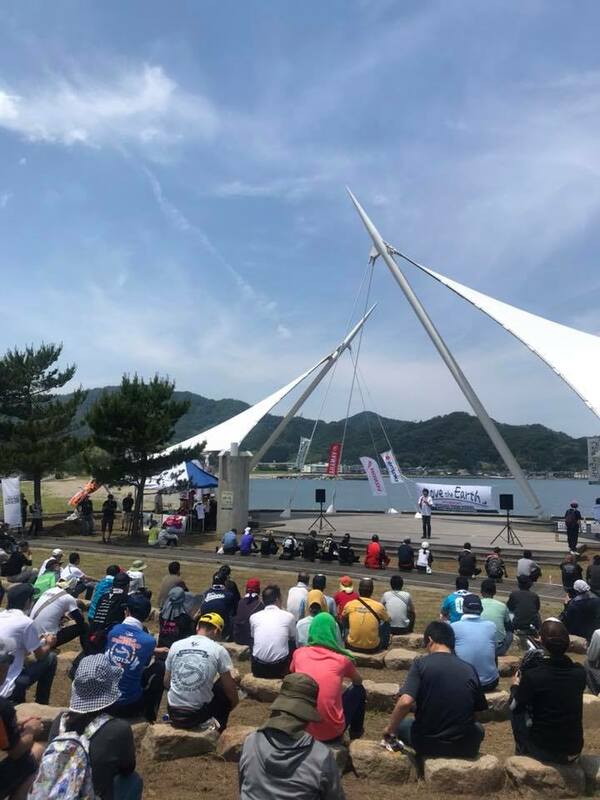 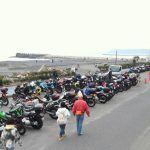 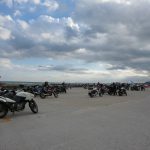 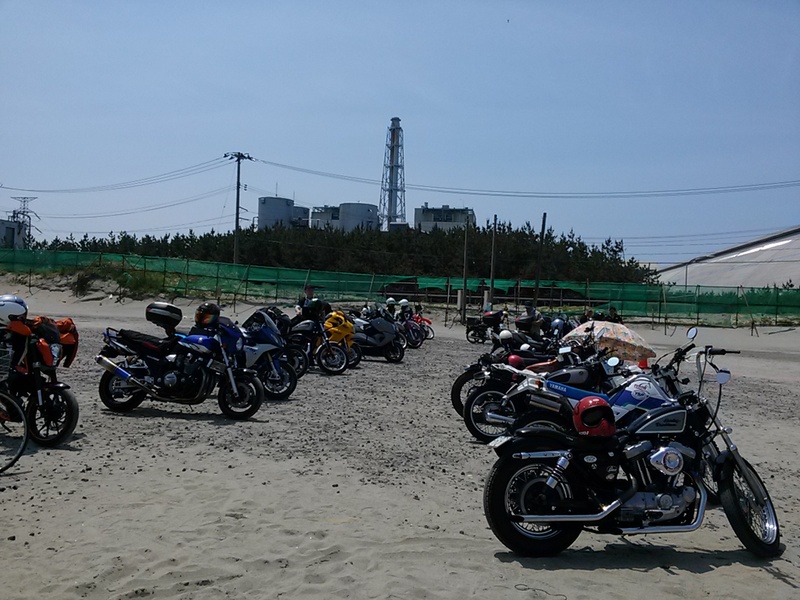 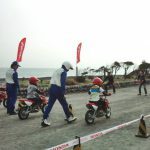 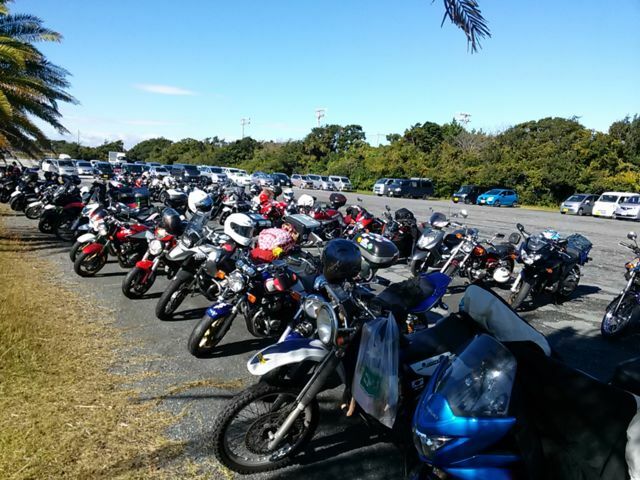 In the afternoon, after the beach clean-up activity, we were welcomed by the mayor and enjoyed talk shows of the guest riders, exhibition of motorcycles, and games. 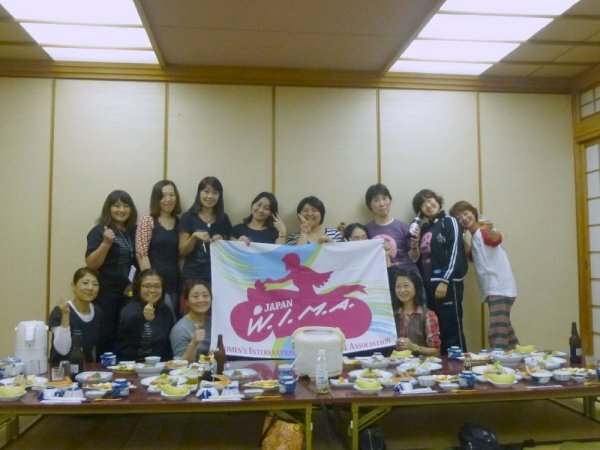 Most notably, one of WIMA members got an award for the oldest participant; we are proud of her being with us. 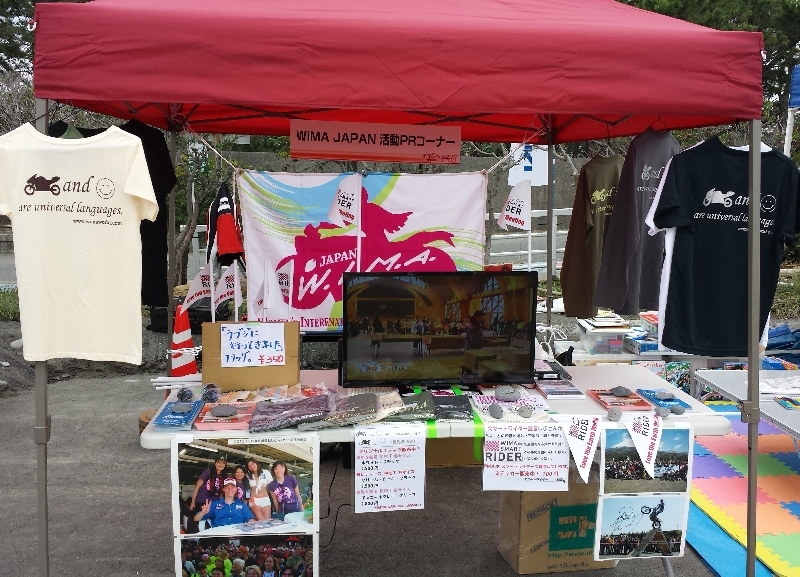 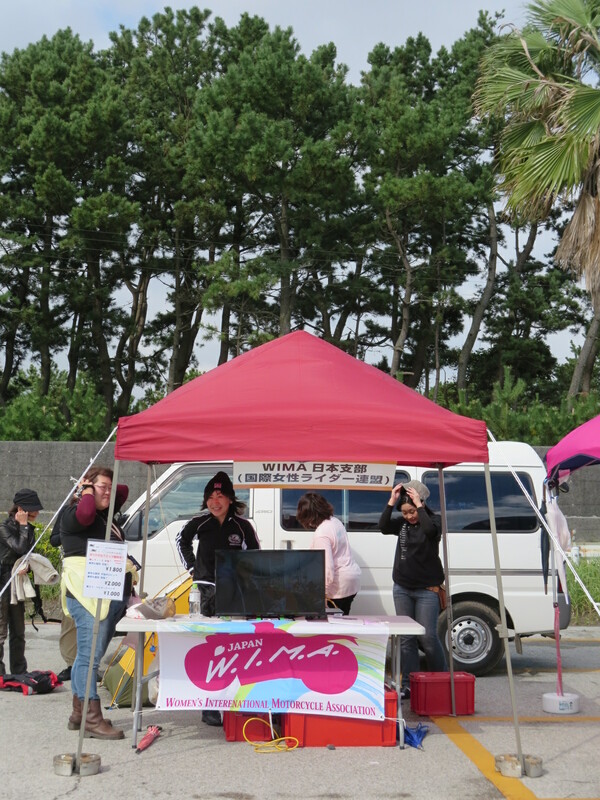 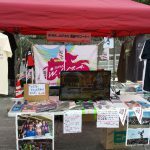 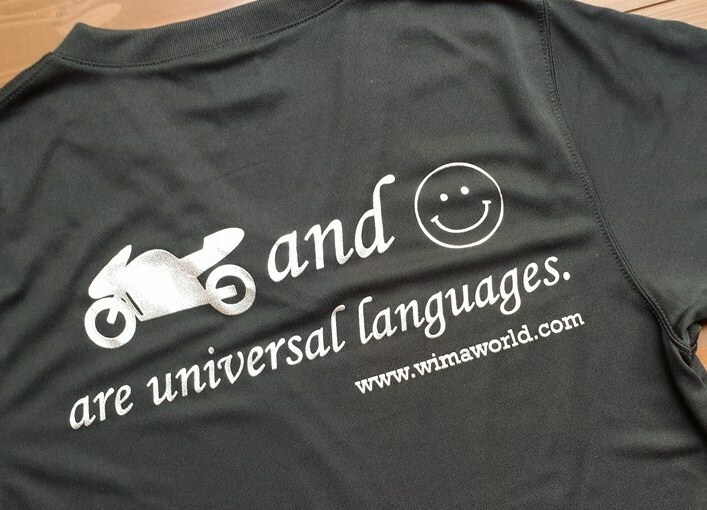 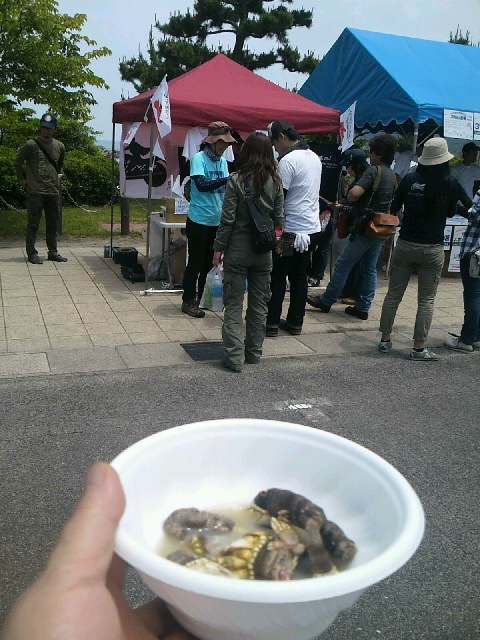 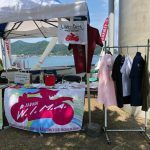 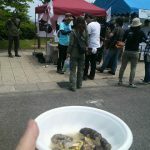 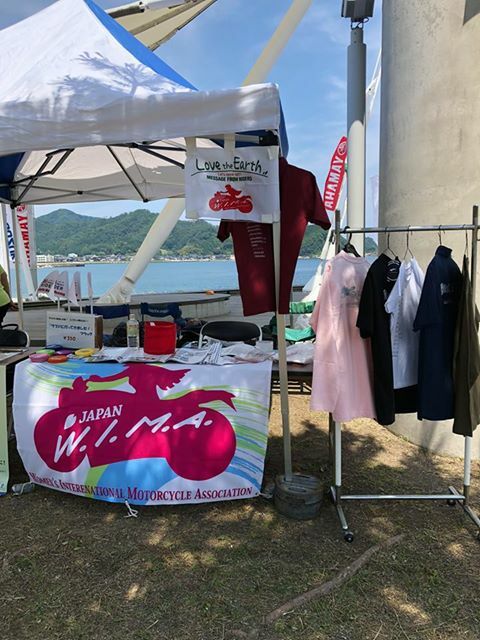 WIMA Japan set a booth for PR of WIMA and sold some T-shirts and part of the profits from sales were donated to WWF. 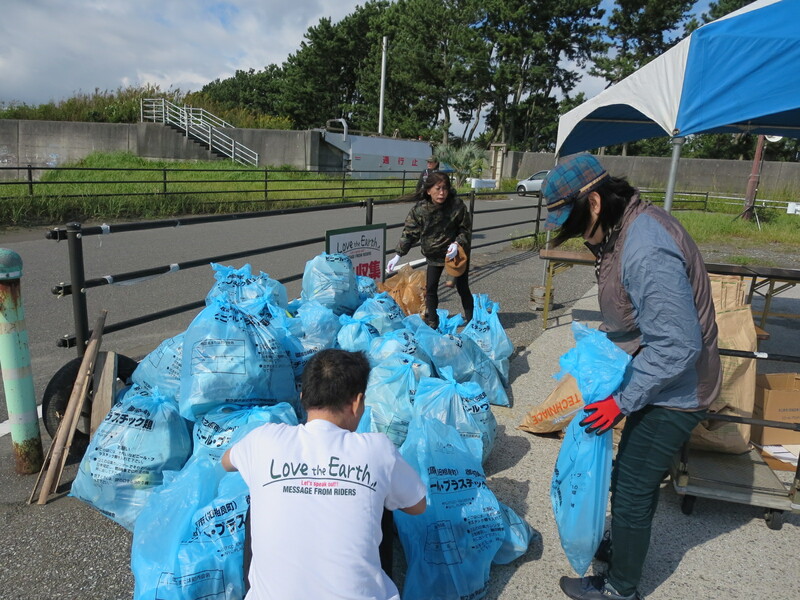 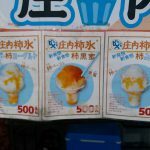 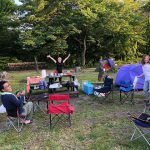 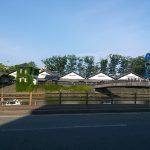 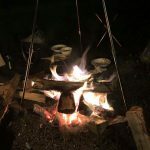 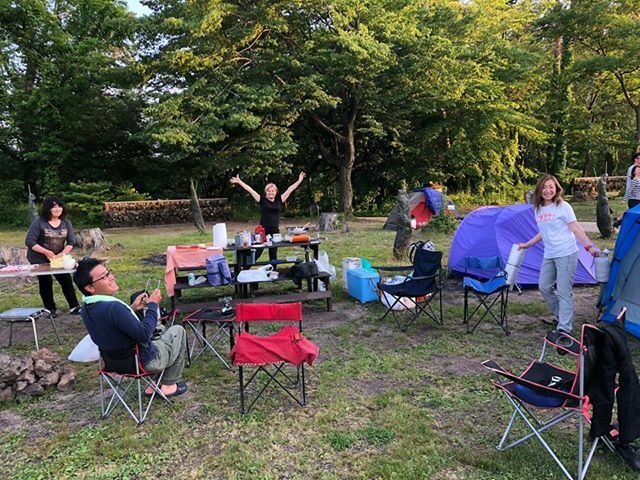 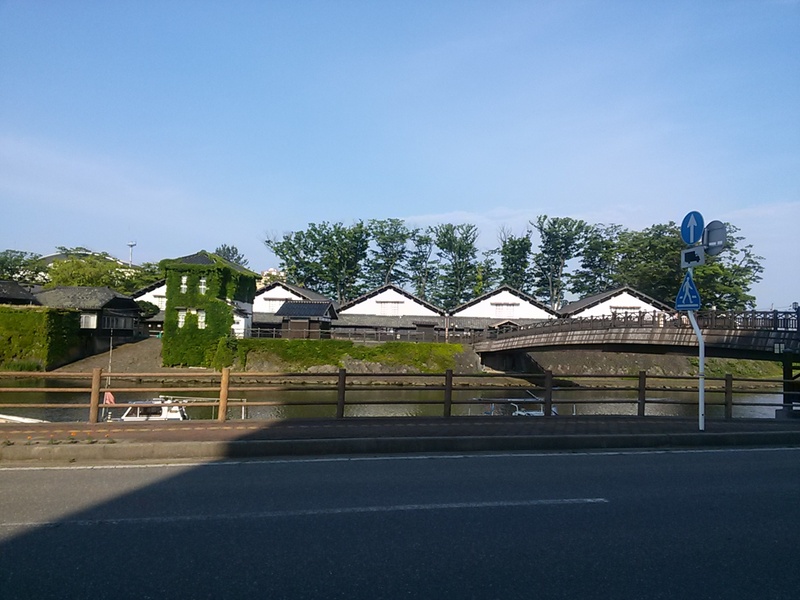 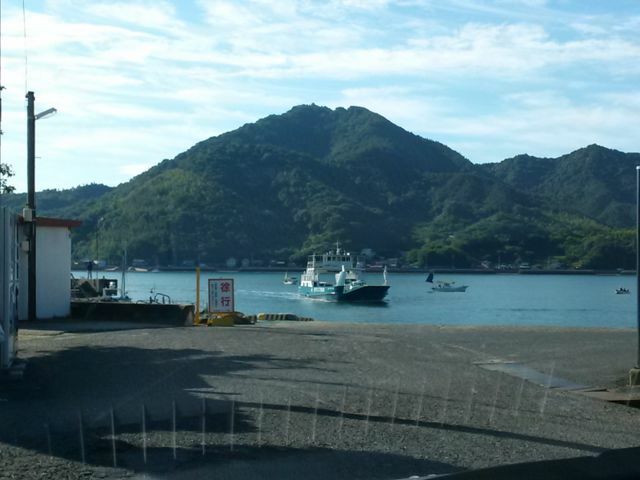 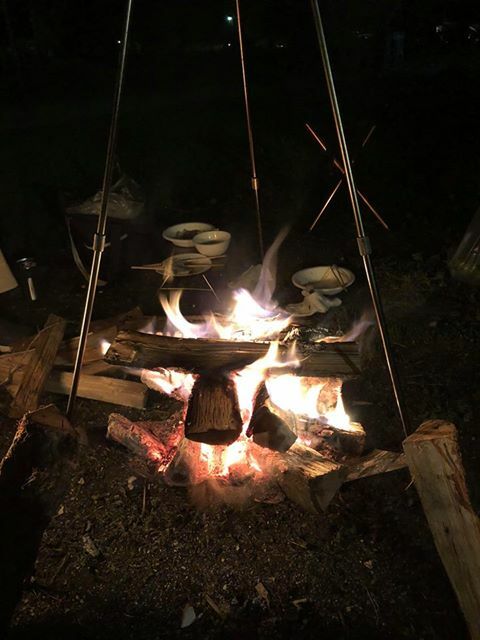 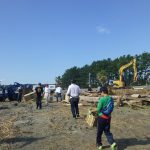 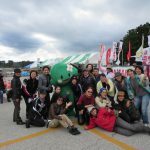 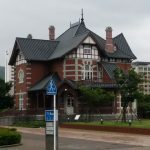 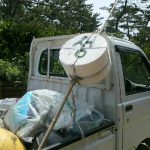 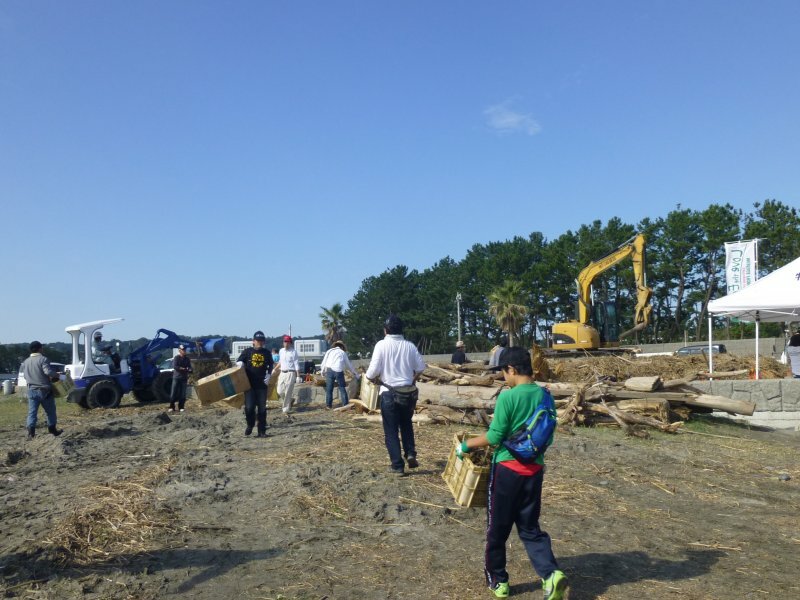 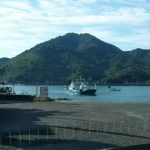 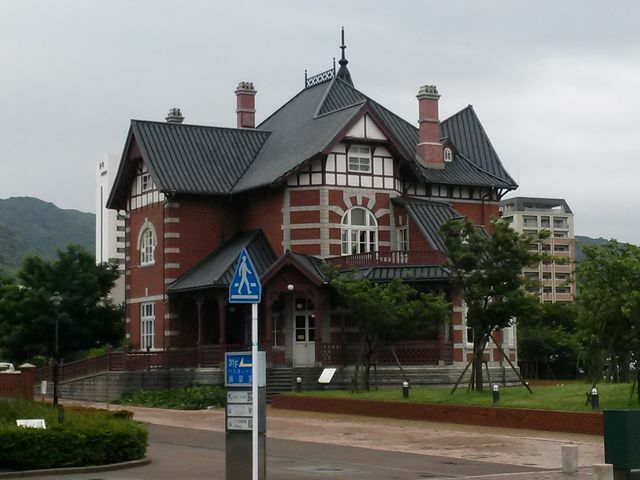 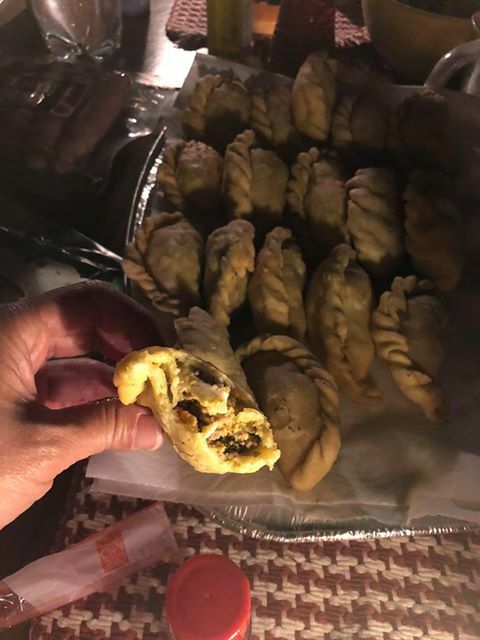 After the Love the Earth Meeting was successfully closed, we moved to an inn at Omaezaki and held the autumn meeting of WIMA Japan. 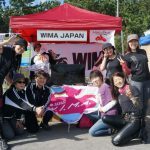 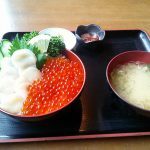 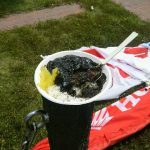 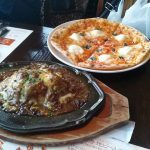 Twenty four people including a prospective member, a member of WIMA Finland and partners of some members gathered there. 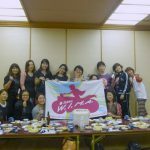 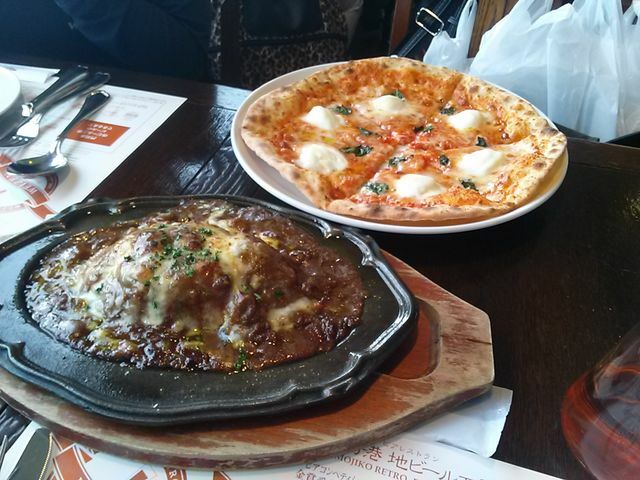 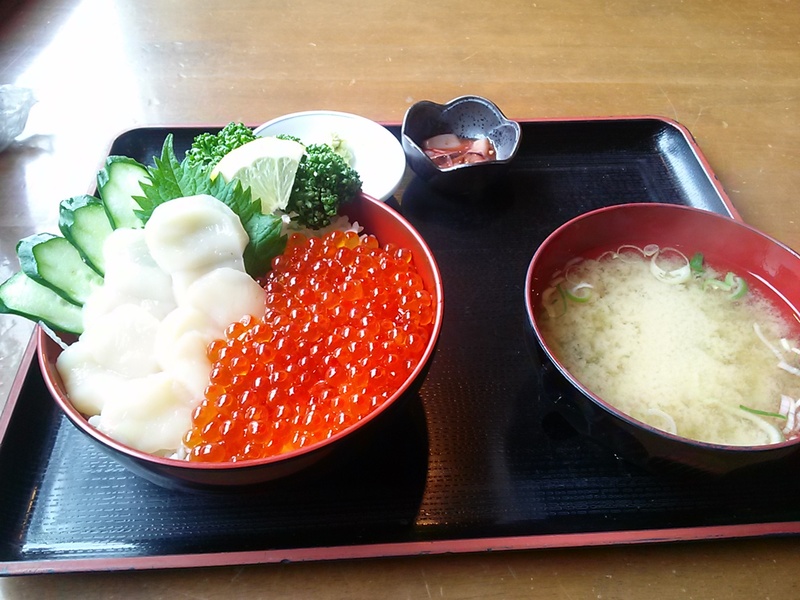 We had a time to discuss about WIMA Japan activities and then had a small Japanese style party to enjoy our reunion. 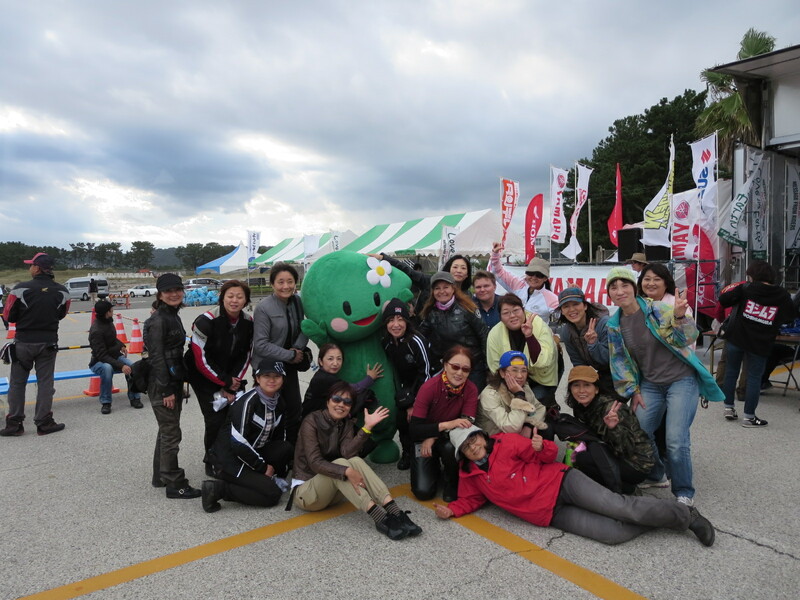 It also was a good chance to meet newly joined members.